Take all the signs for Hobart and the Midland Highway. You will pass the Launceston Airport turnoff and head south to Perth. This was a colonial staging post on the main road and the last stop before Launceston and there are some classical colonial homes around the village – but nowadays its known for a toy castle and windmill on the right going south – somewhat colourful to say the least. Go over the bridge about 400m travelling south and the turnoff to the Great Eastern Drive is well signposted and you turn left. 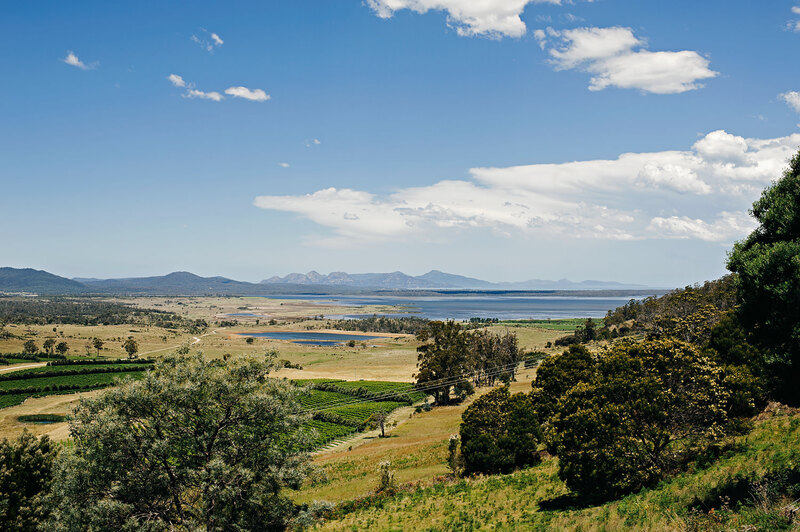 You will have about 40 minutes of driving to Lake Leake – a well renowned trout fishing venue – in the high midlands of Tasmania – and as you descend to the Coast there are some wonderful snapshots of coastline through the trees – but no real stopping points – you arrive on east coast Tasmania a little north of Swansea. Turn left. You will next encounter a concentration of vineyards . Starting with Milton (the Dunbabin’s) on the left, then Springvale on the right (the Lyne’s) and then Craigie Knowe (the Travers’) and Gala – at the hamlet of Cranbrook (The Grennhill’s) These are all terrific , personable cellar door experiences and please try any one of them. Just after Cranbrook the large trees on your RHS are the last of the Walnut orchards on the East Coast. You are now only 15 minutes from Cod Rock Point – sail past the turnoff to Coles Bay and Freycinet and you are almost home.